You know how teachers and professors at schools and colleges always feed you with rot that everyone is competition and one must beware of even their own shadow!!! I thank my stars (actually my parents) and the people I met that mattered, because of who I got to believe in just the opposite – to be fearless! And as much as I wish every one to work carefree with just all the passion and nothing else …… she truly is fearless – KIMYA GANDHI – my inspiration from the day I have known her!!! A massive open ground, abundance of ideas, limited resources, NO TIME – the story of an event decor designer’s life. To be frank, I relate to this and literally live it everyday but there is a small but significant difference i.e. of ‘control’ which a production designer/ space stylist enjoys and an event decor designer often doesn’t. Control that clearly dictates a ‘rule’ over all others on a film set; that except for the design team NO ONE TOUCHES A THING. PERIOD! (of-course excluding the actors that need to interact with the given environment ;)). I can only imagine myself giving threatening and hostile looks to the crowd if something gets displaced from where its supposed to be. However, this ‘rule’ absolutely cannot apply to event designing which is wholly based on an interaction with the audience. 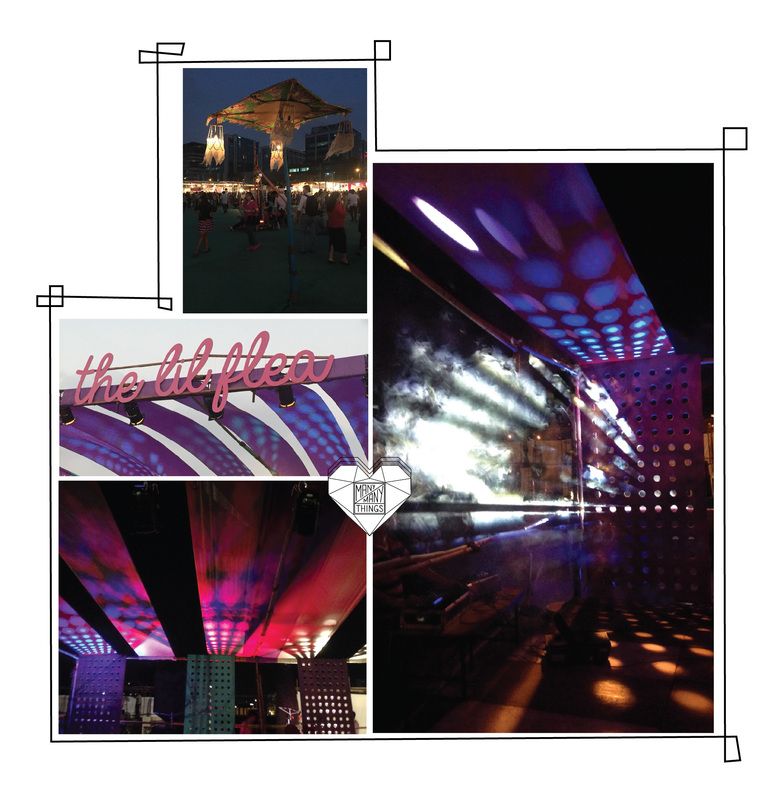 Interaction with signage and directions, seating and movement, spaces and scenic elements. 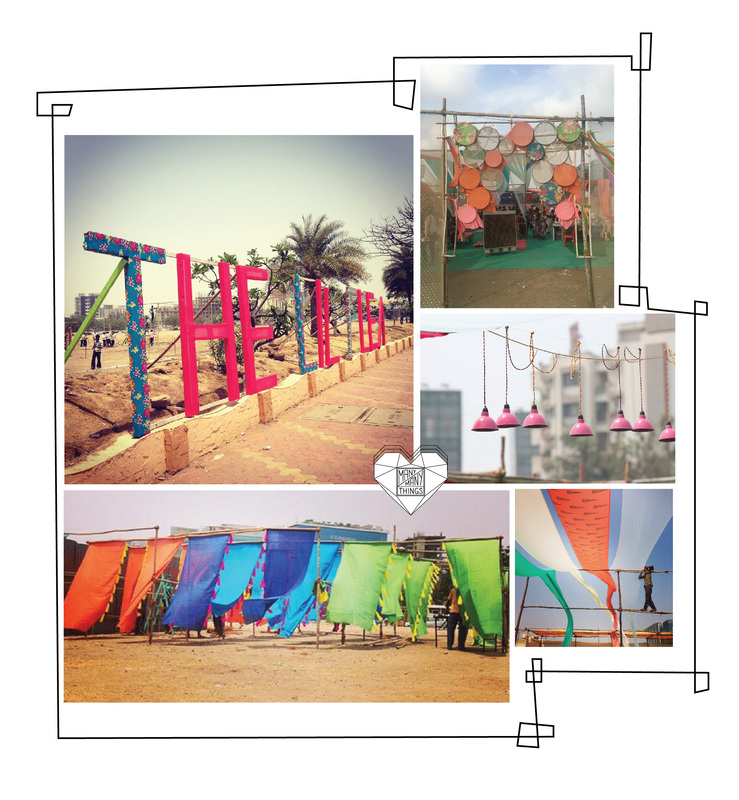 Having explained this… Did you go visit ‘The Lil Flea‘ on their 1st anniversary event held at Bandra Kurla Complex (BKC) by Mumbai Mirror, in Mumbai (Bombay) over the weekend?!?! Zeb and I were all smiles to see how these little interactions in the space made people so happy, they were designed to not only perform a function but also form the perfect looking backdrop for their photographs. We think it was a great show put together by the decor team which was headed by a dear friend Tanvi Gupta; who in my book is a complete go-getter!